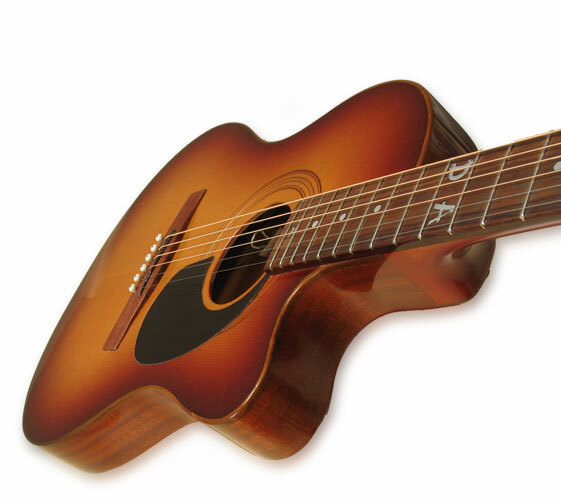 Shape: An acoustic 6 string guitar with X braces in form acquaintance away from the Ch.Atkinsa and oval cutaway. Body: Body depth is just 48 mm and by that fit to play on podium with sound distribution. Hollow body is braced with traditional voiced way. 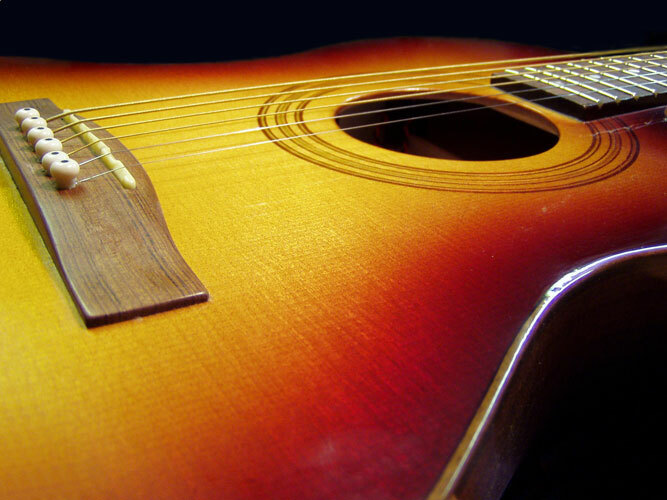 Soundboard: Guitar is built from combination of wood used by the building acoustic and electric guitars. 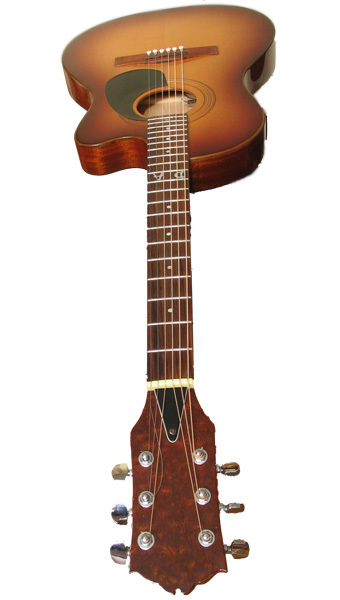 Neck: Neck is profiled in C shape with 12 "radius and jumbo frets. Other: Back is from massive alder (cca 8mm) which eliminate creation undesirable feedback. Sides are mahogany. 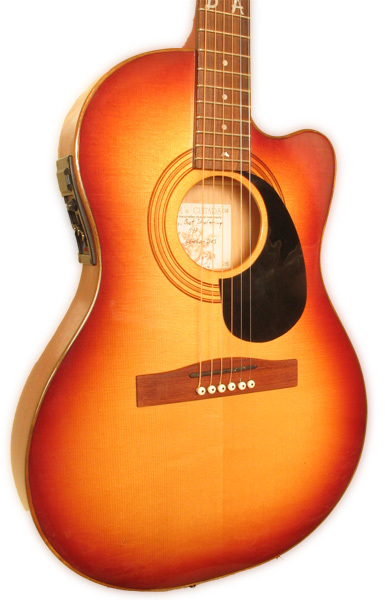 Sound: Mahogany neck adds proper acoustic sound.